Elevate the power of search by adding search functionality or search box which makes the searching task simpler and faster for the users. Hence, it is substantial these days to include it in the website to provide the incredible experience while searching the information. Whenever the visitors visit your website and unable to find what they are actually looking for, then how would you help them? The perfect way to get them out from this situation is to add search form, which has become a fundamental requirement nowadays for the website design. When it comes with the website navigation, then it renders manifold influencing means and it, of course, creates user friendly interface which makes the process of search quite painless. It is a primary requisite for the website runners as any site precisely incorporated with this feature is considered the most user friendly and enhances their experience while exploring the information. There should be a consistency in search form with rest of the sites. In simple words, you need to style input and submit field perfectly. It is good to use search form with a small-sized search image anywhere on the website for the ease as the images help people understand what exactly is it. Using magnifying glass with search form is very common. Thus, it would be good for you and your website to use “Search” word within the form and next to it. Let’s go through the search bar tutorials which help you to expand the box through CSS transitions which have structured beautifully. It is initially covered for view, but once you click on search label, this search bar expands smoothly and provides you an appealing view. Here is how one can create a flat styled navigation perfectly with search box as well as drop down menu in the form of square user interface. It is one of the good ways to make the search bars appealing and impressive. You can see the example of fancy search box here which is an ideal replacement of classic styles. Powered by CSS, this form is comprehensive and gives you an idea that how can you proceed step by step and create the complete search box in very simple way.s In terms of understanding, it is easy and stunning in look. One of the professional and innovative search bars, which is favorite of almost all people due to simplicity and it can also be customized. 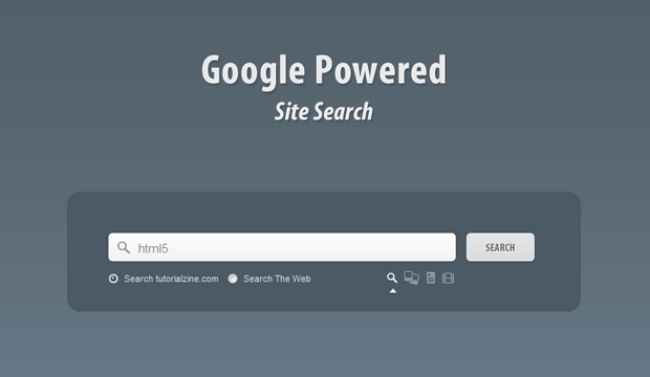 This custom search box searches the information individually from videos, Google, and images. If we discuss about its design and technology, then it has been developed using jQuery, CSS3, HTML5, and Ajax feature. This search form is inspired from Apple search bar and powered by CSS3 and jQuery as its name defines. Awesome in look, it contains two boxes to search, one for current search and another for new. 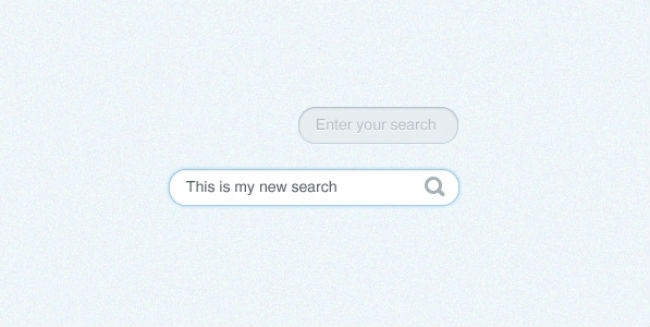 Another fruitful example of inspiring search is Suggestion search bar built with CSS purely. Once you search anything, it will start providing some suggestions instantly, which is helpful the users. This is why, users love to see such type of boxes the most that make their search simple and less time consuming. 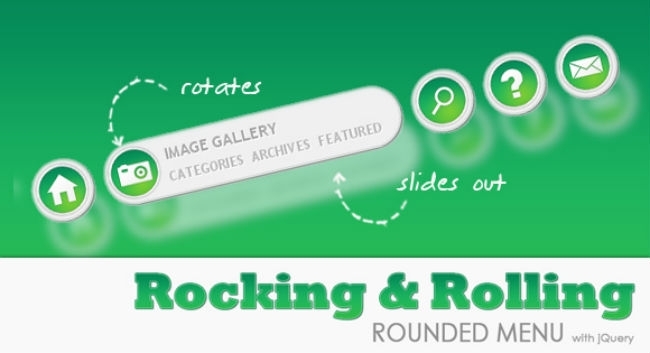 If you want to try something new in search bar which looks elegant and unique too, then rocking & rolling is perfect for you. This search bar comprises rounded corner and is being designed beautifully by Tympanus. Worthy to try, this awesome styled menu bar is developed by CSS3 and jQuery, for the simple search that caters seamless experience to the users. Checkout the tutorials how easy they are to develop a unique search bar that can help your customers or visitors to find out what they are looking for. Built with HTML5, CSS3 and jQuery, these are outstanding in functionality and their form design is visually appealing. 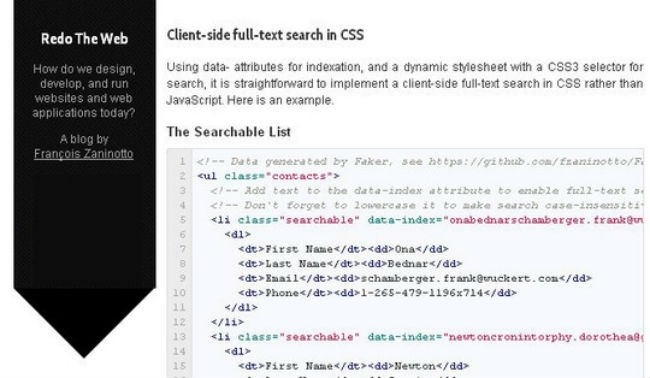 Enjoy the list of 8 well-structured search form tutorials that will definitely teach you to create fruitful search box. For this, you just have to be abreast with the standard technology (HTML5, CSS3 & jQuery) and their possible quality attributes. Hopefully, this post will entertain you and help you find the ideal approach for search purposes that you can use in your website. It is imperative to have the search box for small to large sized sites that run online and compel audience to visit. David Meyer shares his technical thoughts through the articles and blogs. By profession, he is a developer and working with CSSChopper- Sketch to HTML conversion company. Follow him also on Facebook, Twitter, LinkedIn and Google+.